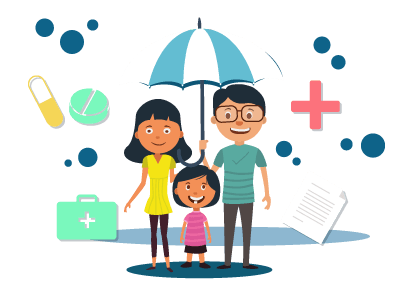 A term insurance policy is a must-have policy for everyone irrespective of their age, income, and marital status. The level of financial security provided by term insurance remains unmatched by any other investment products in the market. Most of the top insurers in the market provide different variants of term insurance covers for their customers. IDBI Federal is one such player that has various protection plans in its lineup. Customers interested in these plans can easily narrow down their choices using the premium calculator available on the official website of the company. Term plans are the cheapest form of life insurance covers as they do not provide any maturity benefits for customers. The cost of term insurance is primarily influenced by the sum assured amount chosen. Hence, it is likely to vary from person to person depending upon the sum assured amount chosen. Premium calculators are useful in determining this variable cost based on the personal details provided by a person. Most of the companies in the market provide premium calculators to help their customers know the price instantly. This helps customers arrive at a decision quickly. Choose the term plans offered by the company by clicking on the menu ‘our plans’. Once you have found the list of plans, click on the term insurance cover you wish to choose. On the plan page, find the menu ‘premium calculator’ and click on it. On the premium calculator page, enter your personal details including name, date of birth, gender, sum assured amount, policy term, etc. When you click on ‘get illustration’, you can find the premium amount charged for the specific plan. You can do the same for other term insurance policies for which you wish to find the premium amount. If you like the chosen plan, you may go ahead and purchase it. The term plans offered by companies have their own algorithms when it comes to premium calculation. It will be difficult for individuals to compare policies if they do not have access to premium calculators. Calculating the price of a policy manually using the algorithm can be a difficult task for customers. Customers can save a lot of time and effort when they use premium calculators to determine the cost of a policy. They can do it from the comfort of their own homes and make a decision at their own pace. Customers don’t have to rely on the service of an agent or broker when they use premium calculators for these policies. They can arrive at a decision by themselves without being influenced by a sales pitch. Companies can reach out to a large customer base when they use term insurance premium calculators. Since customers can check the price on their own, companies do not have to spend money on any resources just to provide a price quote to customers. Most of the term insurance plans available in the market offer the flexibility for customers to choose the sum assured amount within their budget. When buying a new plan, customers can check the price of a product beforehand and try out different options. By providing their personal details, customers can get the price of a product instantly. This makes it easier for customers to come to a purchase decision.